Here are the rest of my December Daily album pages. See this post for the first section and to read about my approach to putting together the album. I used the sold out kit from Studio Calico and I love every bit of it. They really know how to put together a totally gorgeous kit! I took the pages out of the album to photograph them. 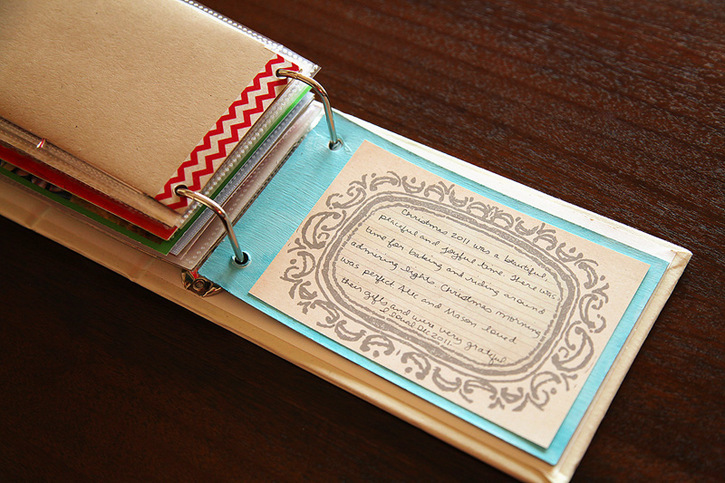 The smaller pages go in a 4x6 page protector and the slightly larger pages are made of chipboard. I painted this chipboard page with white acrylic paint and then brushed on some Mister Huey's mist in red. 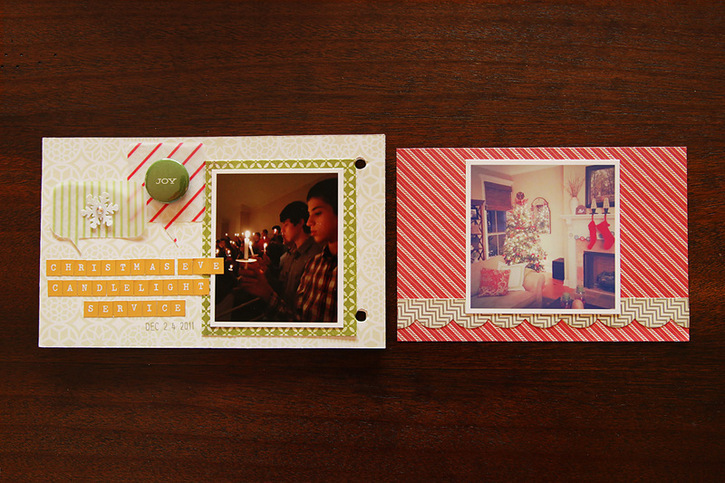 Here are a couple more ideas for your albums - I took a photo while we were driving around admiring Christmas lights and also a photo of the cards received so far. 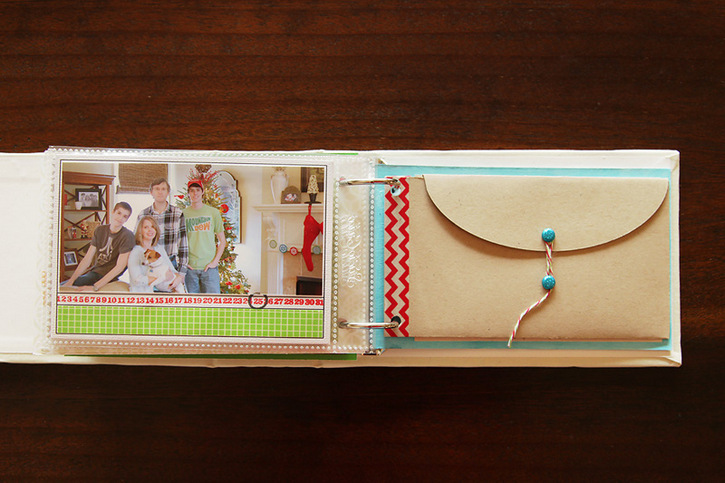 The journaling for the left page is on the tag hidden inside the chevron pocket. 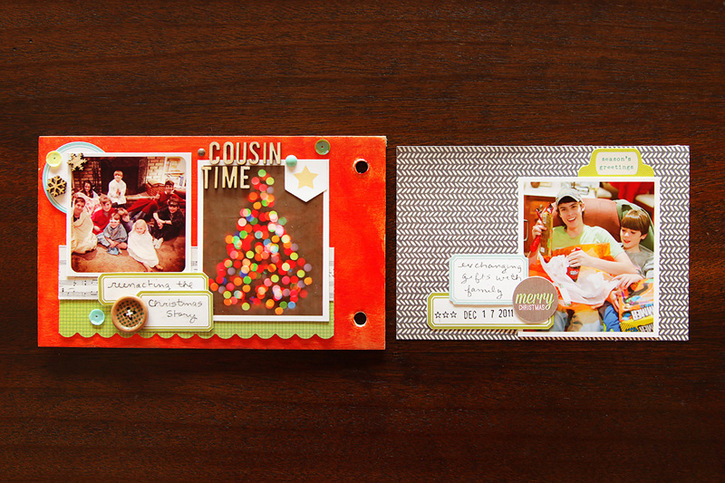 On the right I used my Silhouette Cameo to cut the red tag along with most of the tags in my album using the print and cut feature. 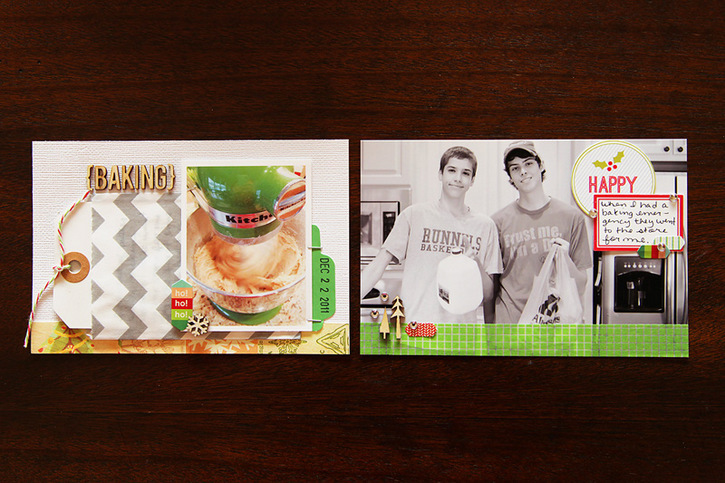 Julie Campbell has an awesome video on her blog explaining how to do print and cut here. On the left is a family photo from Christmas Day. 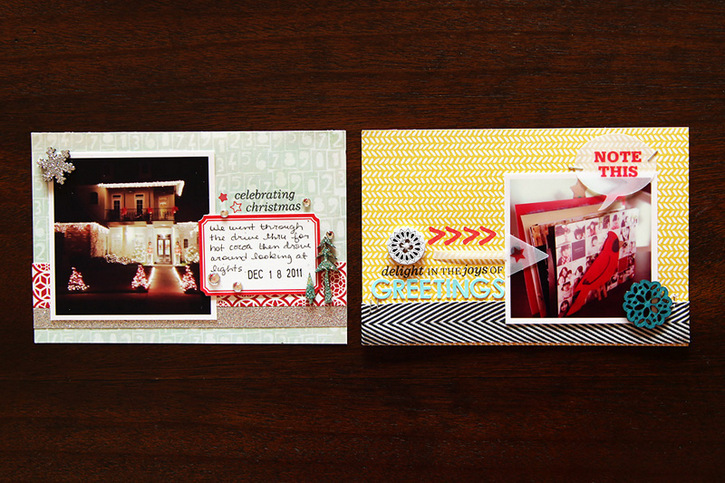 On the right is an envelope made with a cut file by Marcy Penner included in the 25 Days class at Studio Calico. 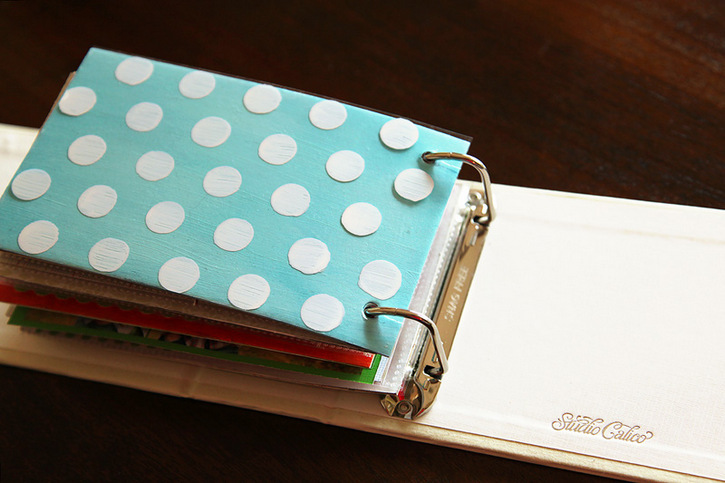 It's perfect for holding a bit of ephemera - holiday receipts, recipes, lists etc. I wanted to make sure I remembered just how special Christmas 2011 was so I wrote a few notes on the last page. I linked up a few of the items used on these pages below. Let me know if there are any questions! Wow, you DD is looking great. Beautifully done! 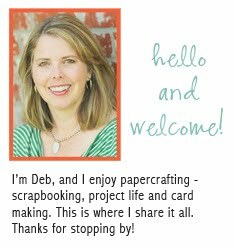 Deb, this is SO pretty! Love it! Thanks so much for sharing this! Great stuff! Great pages! I love how that mist looks painted on the page. I gotta say, how amazing!